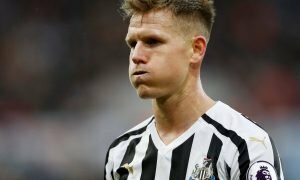 Benitez has his ideal Newcastle United bargain signing waiting in the wings - Opinion | The Transfer Tavern | News, breakdown and analysis on all things football! Newcastle United are still searching for their first win of the new Premier League season. The Magpies were beaten at home by Tottenham on the first day of the campaign and couldn’t defeat Cardiff City after Isaac Hayden was given his marching orders. Things did not get any easier for Rafael Benitez as he welcomed Chelsea to St. James Park on Sunday. The Spaniard set up his side in a controversially defensive manner as they lost 1-2 at home to the Blues, sitting deep for most of the game. Newcastle are paying the price for a summer of little investment from owner Mike Ashley. The fans want the 53-year-old out of the club as soon as possible, but he is yet to find a buyer for the club. 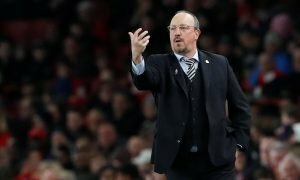 Fans will also be worried that Benitez could leave the club with reports suggesting that Chinese Super League side, Tianjun Quanjian, are monitoring his situation on Tyneside. To get their season back on track, Newcastle should make a controversial move to re-sign former playmaker – Hatem Ben Arfa. Valued at £4.5m by Transfermarkt, the Frenchman spent five years at the club after joining from Marseille back in 2011. He made over 85 appearances before eventually leaving the club for Nice. The 31-year-old is available on a free transfer after leaving Paris St Germain. Ben Arfa was a frustrating character during his spell at St. James Park, his excellent dribbling ability and skills were often overshadowed by lazy performances. However, the maestro has seemingly rediscovered his best form after scoring 17 goals and notching six assists back in 2016 which earned him a move to PSG. Benitez could be the perfect manager to get Ben Arfa firing in the Premier League again. 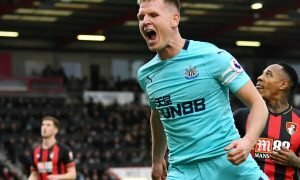 The France international would provide some much-needed cover to the flanks and give Newcastle a quality option in the hole behind Solomon Rondon. It may be an unpopular move, but it could prove to be a masterstroke from the ex-Real Madrid boss.